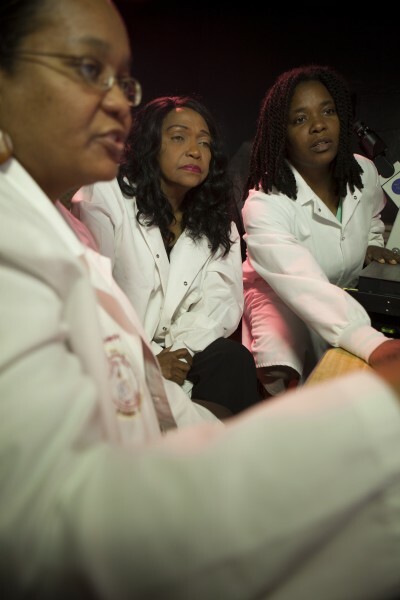 RTRN aims to bridge the valuable partnerships cultivated within our RCMI grantee institutions for the purpose of eliminating health disparities. Our ability to achieve the mission of RTRN depends on our capacity to cooperate and work collaboratively with other investigators, organizations and the community. Partnerships are cornerstone to the strategic growth of the RCMI Translational Research Network. RTRN provides a resource-rich environment to support collaborative partnerships between academic researchers, clinical investigators, physicians, industry professionals and community representatives and advocates. Our partnerships inspire the researchers and partners to develop and conduct new and exciting research. RTRN’s Research Coordinating Center (RCC) serves as the central coordination and communication hub to facilitate cross-institutional research projects. The RCC works closely with the investigators to help them identify and connect with expertise across the network and supports them through the process of moving their research ideas into quality scientific initiatives.